We currently have tours from operators consisting of departures. 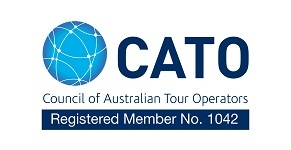 Watch this space, more tour operators will be joining Tour Atlas soon. Tour Operators your tours should be on Tour-Atlas. Be in front of travel agents from Flight Center, HelloWorld, Travel Managers, Travel Counsellors and more. Reduce your reliance on brochures and minimise your costs. JourneyAtlas.com and Tour-Atlas.com are putting 1000’s tours at the finger tips of the people that buy and agents that sell tours 24 hours a day every day. Tour-Atlas uses a non-biased search algorithm, no matter how many tours you have if your tours meet the search criteria they will show first. Contact us as at Support @ Tour Atlas now.